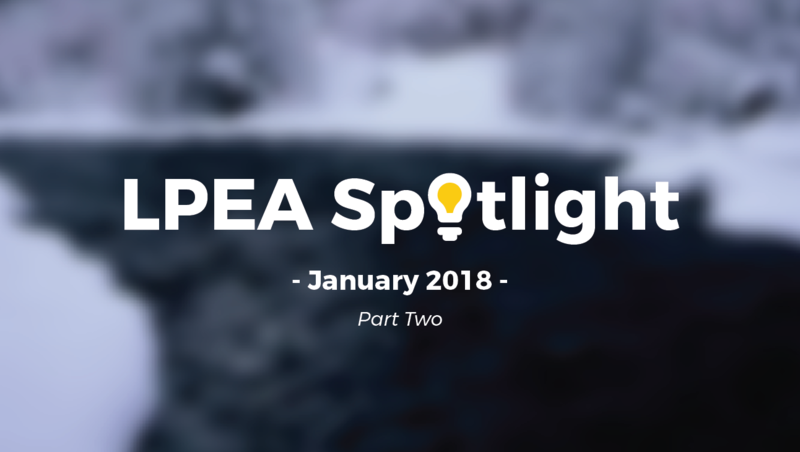 In the first half of this January’s #LPEASpotlight, we explained why the La Plata Electric Association (LPEA) Board of Directors needs to review our long-term power supply options given the changing energy economy. In the January board meeting, the LPEA directors narrowly** approved one meeting of a subcommittee to complete such a review. They told the group to come up with a mission, vision and strategy. This brief subcommittee “charter” will be presented next to the full board on February 21st for a vote. We’re concerned the LPEA board will vote to discontinue this subcommittee. If the subcommittee is denied, the opportunity for a review of our energy supply options is jeopardized. Without this review, the LPEA board will likely continue to rely on the past to make decisions in a rapidly evolving energy industry. On January 31st, we attended the subcommittee’s first meeting. It was open to the public. They worked on the charter but unfortunately did not make the editing process publicly accessible. We waited to publish this Spotlight, hoping that LPEA would publish the final version of the charter online so we could share it with you. But last week, for unclear reasons, LPEA decided not to publish the long-term strategy subcommittee’s charter publicly before voting on it. Even though we can’t share with you exactly what is in the charter, we attended the full work session. Based on what we heard, we are still in full support of the subcommittee. It is the LPEA Board of Directors job to look to the future and determine policies to guide LPEA’s path. As energy technologies rapidly change, we must consider all of LPEA’s options for taking advantage of low cost renewable energy so that southwest Colorado isn’t left behind. The subcommittee is an efficient way to do so. Without your support this important review is in danger. The first subcommittee meeting barely passed and we believe this final approval vote is even less secure. Join us at the LPEA board meeting on February 21st to speak in support of looking to the future! Write or call your LPEA representatives. I would like to see LPEA step away from tri-state and pursue renewable energies for our future. I cannot afford to put solar panels on my roof but wouldnt mind a large hike in my monthly electricity cost. We need to accept that climate change is real and commit financially to doing everything we can to slow it down. Our kids lives are at stake. Hi Sandy! Thank you for your comment. One of our hopes is that this subcommittee can look into what our options are for obtaining more renewable energy. If their research proves staying with Tri-State makes the most sense, then it makes the most sense. But we believe they’ll discover ways that we can integrate solar and lower rates for everyone, rather than just those who can afford rooftop panels. A nearby cooperative in Taos, NM was able to exit Tri-State and pay the penalty fee without raising rates to do it (though they did have a recent rate change for another reason). Only research will reveal what these options are! Sandy, it is the responsibility of the LPEA board to decide on a path forward that will benefit its members. If the buy-out is too expensive, then it will not be done. Yet, keep in mind that none of the buy-out costs stated so far included the long term economic benefits of local job creation by potentially generating some of our own energy and not sending millions of $’s to Tri-State every month, money that will stay in our community. This issue can be looked at in just a financial way. If renewable energy is less expensive to use, then why not switch? If exiting the Tri-State contract is possible even with a penalty then why not exit? Even if the trade-off would mean comparable costs for our electricity, it would still make sense to change to renewable energy for the sake of protecting our air and water. I do wonder where this solar and wind energy comes from? What impact do these panels and turbines have on birds? Is there a way to minimize or eliminate any damage? Still they are no doubt less destructive than a coal plant. I think the subcommittee should stay in force, study our alternatives to Tri-State as other states and areas have done. This monopoly needs to end their greed as seen in their iron fisted profiteering. and high incomes they take in. We need to be able to vote on this as a co-op otherwise LPEA is just acting like Tri-State. I was told a couple of years ago that LPEA had lots to spend and did not need a jump in rates. Most people in Pagosa Springs are just barely getting by. They forced Smart meters on everyone unknowingly which auto-manically raised everyone;s rates by 30%. Did people get a choice or vote ahead of time? No – you just had to know what was going on.